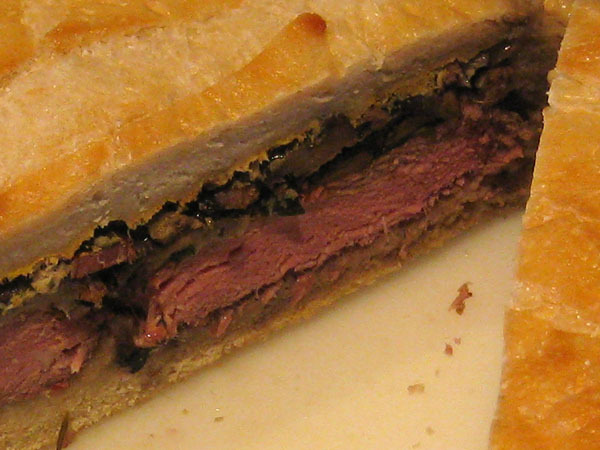 The shooter's sandwich is a little known meal, that was originally prepared to nourish hunters as they went out in search of their prey. Its compactness took up less room and made carrying it easier. In addition the ingredients used, fared well without refrigeration. 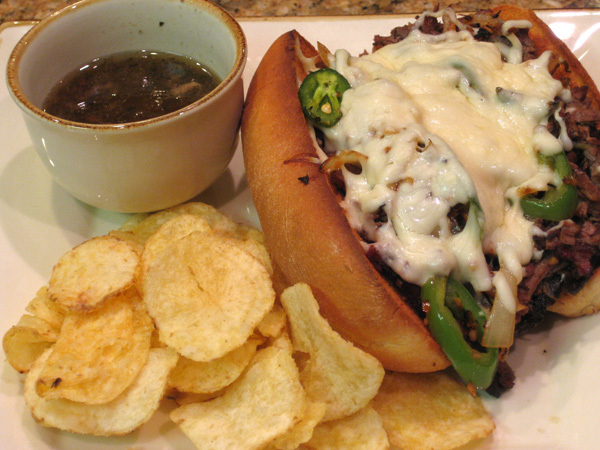 I love Italian beef sandwiches! However to get a decent one I have to drive about 30 minutes and they are a rarity in my life. I had some leftover beef tenderloin I smoked a few days ago and decided to try making my own. I should have done this years ago. They turned out fantastic. 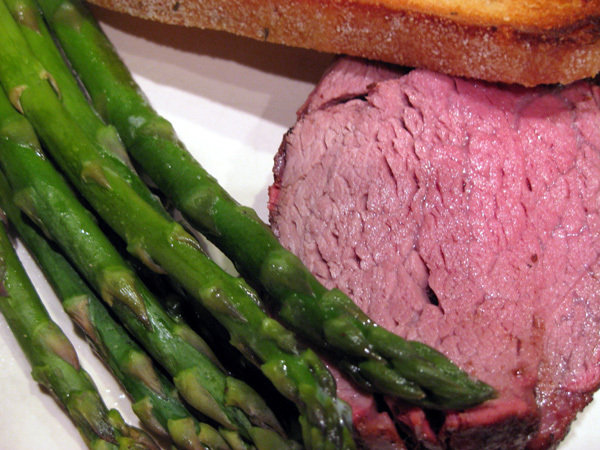 Smoking a beef tenderloin is simple and one of the greatest ways to prepare this choice cut of meat. Done properly, the tenderloin will be perfectly cooked from crust to crust. The low and slow method keeps the meat closer to the outside from becoming overdone. As you can see in the photo, the slice is almost entirely medium rare.